Okay, So this is my first Blog as a Diet and Nutrition Consultant and I am elated! Post-Pregnancy when I am going through the constant thought process in my mind..."Loose Weight"
I realized that that I can try a combination of all of those advices, tips and tricks that I used to give people to reduce weight. I feel Healthy Eating is more important than Dieting. Of course many of you would support me on that right? So let us start with Healthy Eating Tips and Tricks. 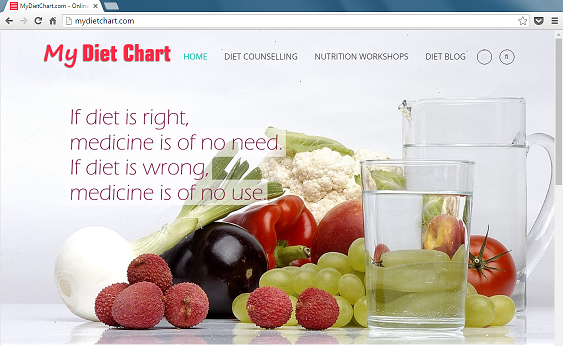 And once you are wired for healthy eating, You Yourselves will decide how to Diet in a Healthy way. Most of you would be wondering as to how getting up early is related to Diet and Nutrition. But my idea is if you get up early you have ample time to organise the whole day @ peace in your own manner rather than rushing up things. Plus your bowel movements are more regular if you are in a habit of getting up early. Again a plus point because no constipation is a sign of Healthy body. I get up early and do a certain things to cleanse my system. And if that routine is done perfectly I feel my body gets geared up very well for the entire day! Okay I know you've heard it umpteen times, but YES you should have a heavy breakfast. The filling the breakfast is (i.e. : loaded with fibres: Oats are good for that!) , the more energetic you shall be in the most important working hours ie: the morning hours of the day. Isn't that we all wish for! I've heard many of my clients say that they feel very bloated if they have Breakfast (forget heavy breakfast..just breakfast) in the morning. Please get out of this misconception, as It is easy to burn early morning calories than late night calories. Plus even if you feel a little Full, Be happy with the fact that you will NOT feel hungry just by the time you start your work in the office. You can relax and do your work for atleast 4-5 hours without feeling hunger cramps, I am sure that would add to your Productivity. 3) Drink lots and lots of water - HOT and not cold water. Hot water stimulates the secretion of digestive juices and thereby helps make digestion efficient. Hot water also helps clean mucous accumulations and particles of undigested food, thus enables body to function satisfactorily. Other benefits are: Blood purification, Removal of toxins in body and deposits in nervous system, Improves blood circulation, Boosts up immunity, Kills pathogens, Cleanses the body, and cures constipation. b) Drink atleast 1 glass of HOT water before meals. 4) Take a break while eating, rather than eating at one go. Most of us finish our meal in almost 10-15 minutes. It takes at least 20 minutes after eating to tell your brain that IT IS FULL. So the Mantra is take breaks, if taking a break is not possible take another bite only when your mouth is empty. 5) Concentrate on your food when you eat. Many of us are in a habit of watching TV or talking on Phone, reading, listening to some music or constantly chatting with people (friends or family). is injustice to your own self. Moreover it diverts your attention and thereby you tend to either Eat More Or Eat Less, both of which are not good for you. Meal times should be specifically be Meal times. Eat your food with full joy, happiness and concentration. It would yield you more benefits! Good one, Nidhi! As you rightly mentioned, most of us may already know about these points. However, they make the most sense when put together (and even more, when they come from a practicing Nutritionist). Loved the article! I'll try to implement these points (especially No 5) and hope to see some improvement. Pretty much known data. But u jotted down nicely. I recently tried out GM diet. Was little difficult for me first 3 days. But it worked out lost around 2- 3 Kgs in 4 days. But i felt the diet chart made me little weaker for a week. can you give your comments on GM diet. Hey Nidhi... this is an amazing article. Yes I know all these points and tips to stay healthy but i used to follow only one or two of them while missing on other points, for example I may be drinking warm water regularly and eat healthy meal but would miss out on getting up early or taking heavy breakfast and not concentrating on my meals and so on. but the way you have explained how to start our day with getting up early, heavy breakfast and enjoy meals was something very very interesting. After reading your article these steps seems easy to follow and the best part is we can follow all of them without missing any of the steps. Am sure this will help me staying fit and healthy. Keep updating us with such good articles. all the best. From now i will try to Loose my weight. Well, getting up early was asked many times, but your explanation of reasons behind them makes us do that. Drinking luke warm water and during all the day,yes,we shall follow. Thanks for a scientific article in simple and descriptive words easily understood. @Rahul: Yes these things when put together give better results because diet is basically a delicate interplay of many activties done together. I shall keep posting, lets hope you can loose your extra weight in a healthy way. and eliminates some totally causes a negative effect on your body's metabolism. healthy, i assure you I shall keep you posted about the latest blog articles. @Bhavesh: Ok Bhavesh, All the best for your resolve. convinced to try it out, good that you liked it. Nice one Nidhi...People are aware about the tips you have mentioned but hardly wants to implement it...Hope this will help..
Hi Shaili! Good to know that after Dentistry you are pursuing a course in Nutrition. As I said in my earlier comment, you can mail me. Hi Nidhi! You said one should eat breakfast before 10am, but I feel hungry only after 12 in noon. So what is the solution for this? Well its all about developing a habit. I agree that you might be in the habit of eating 'Only after 12 noon' but when it comes to our Body and Health, one should follow the Best Practices. Start developing your habit by eating things like Dry fruits and fruits and milkshakes etc so that you don't feel bloated and slowly move on to have a Healthy and Heavy Breakfast. Because the damage this habit 'starving till 12 noon' is making to your body shall be visible only in the later years of Life. Do keep posting in your queries. Good Day! I will just give u a brief plan, tell me if it's not ok.
1 mug of tea with half milk + water, 2 to 3 toast or roti with 2 egg white and one egg yolk and some diet cheese with 1 cucumber + 1 tomato. Later after hour or 2 the food as above. You tell are both ok! 6:00- 6:30am - 1 handful of dry fruits preferably 1 Cashew, 1Almond, 1 Pistachio, 1 Walnut, 1 Date, 1 Fig, 5 Raisins/Kishmish. You can have this while working in the kitchen. preparing the tiffin, OR 1 handful or any dry-fruit that is readily available. Keep changing them every week. 7:00am - 1 mug Milk / Tea full of Milk + 2 Boiled eggs. 8:00-8:30am - Hot Breakfast that you have already prepared for the tiffin. Poha/ Upma/ Thepla/ Uttapam/ Paratha preferably vegetables stuffed Paratha- Aloo,Gobhi,Matar,Palak,Methi, Radish,Carrot. Keeping 1 to 1 and half hours gap will make your stomach full but not bloated. Follow this for 15 days and tellme how do you feel. In the meantime do keep posting in your queries. Thankyou Res! For sure Shall keep posting. Hi Himani! You can just tweak the normal Indian recipes and make them a lot more interesting and nutritious! Shall post next article related to that only! @Priyanka Arora- Thats a nice question you can him Cold milk and if the burning sensation is a bit too much add 2-3 ice cubes to it. He should be given hot water only when there is no burning sensation ..lets say about 3-45 mins after a meal..Do try this n let me know if it worked out. If not shall suggest you something else.